Join Rabbis David Lerner and Michael Fel for a special Tot Shabbat Schmooze on Saturday, November 19 at Temple Emunah of Lexington! At 10:30 we will have coffee and snacks, while Rabbi Lerner leads us in an informal Jewish parenting discussion and schmooze-time. Then at 11:00, Rabbi Fel will lead us in our Tot Shabbat service—with stories, songs, a Torah march, and more! We will end with hallah and grape juice, followed by Adon Olam in the Main Congregation and a Kiddush lunch. 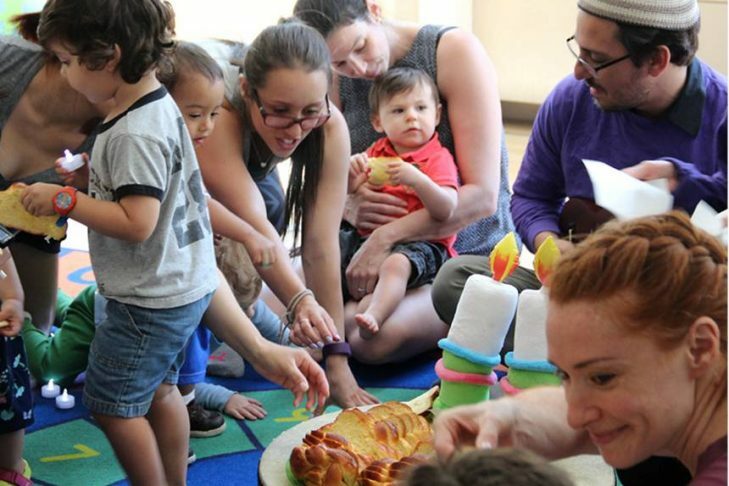 Tot Shabbat is geared towards families with kids ages 0-5 and is open to ALL. This program is FREE and no RSVP is necessary! Questions? Contact Jodie Parmer at jparmer@templeemunah.org.